Lord Grade, chair of the Fundraising Regulator, has committed re-examining £300-a-day fee paid to each of the body’s board members because of concerns from charities that funded the organisation’s start-up costs. Speaking at the launch of the regulator in London this morning, Grade promised he would consider moving the board to a voluntary model after Richard Leaman, chief executive of the charity Guide Dogs, which was among the 45 charities that made a contribution to fund the regulator’s start-up costs, said at the event there was disquiet in the sector about the board being remunerated when most charities’ own trustees were unpaid. "I was very keen from the beginning to make sure that if there was any remuneration at all it should be as minimal as possible – which it is, basically," said Grade. "But it’s an important point and we should be able to consider that. Once we’ve got through this transitional start-up phase, we’ll take it quite seriously." Speaking to Third Sector after the presentation, Grade confirmed that he would think about changing the model, but it was likely that individual board members would be permitted to decide whether they wished to keep the money or donate it to charity. "You don’t want to have a board of people made up only of those who can afford to do it," he said. "You need to have a range of experience. It might be that some people work freelance and giving up a day or two of work a month is actually very costly for them." He said £300 was a small amount of money in the great scheme of things and that he had not considered the issue before now, despite charities such as the RNIB and the Children’s Society having raised concerns about the payments several months ago. During the session, Grade also responded to a comment from Stephen Lee, professor of voluntary sector management at Cass Business School, who called on the regulator to "corral some of the excesses" of the Information Commissioner’s Office, which he said was doing great damage to the sector by going beyond the law in its regulation of charities. 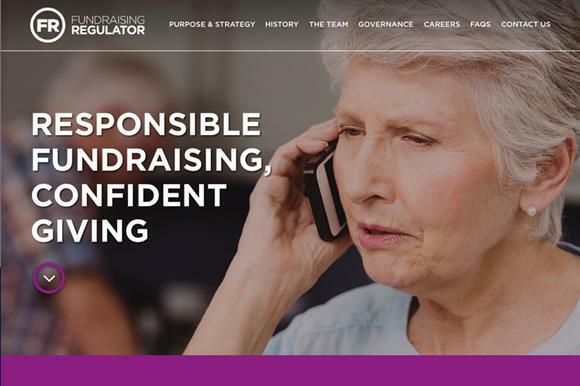 Grade said the Fundraising Regulator’s "tangible, visible and unarguable" independence put it in a strong position to be able to make representations to the ICO if it felt that the sector’s work was being unfairly hampered by its actions. But he emphasised: "We don’t speak for charities; we speak for the public." After the event, Stephen Dunmore, chief executive of the Fundraising Regulator, and Paula Sussex, chief executive of the Charity Commission, signed a memorandum of understanding between the two bodies. It was announced that a similar MoU would be signed shortly with the ICO. The regulator revealed in a statement distributed to attendees that 45 charities had contributed to its start-up costs. Fifty charities were originally approached to provide £15,000 each towards these costs. Research by Third Sector indicated that the five charities that had refused to pay were the RNIB, the Tate, Médecins Sans Frontières, the British Museum and Plan International UK, although Plan said at the end of June that it had decided to make a contribution.